Before I started my new job I deep cleaned my make up brushes once a week. 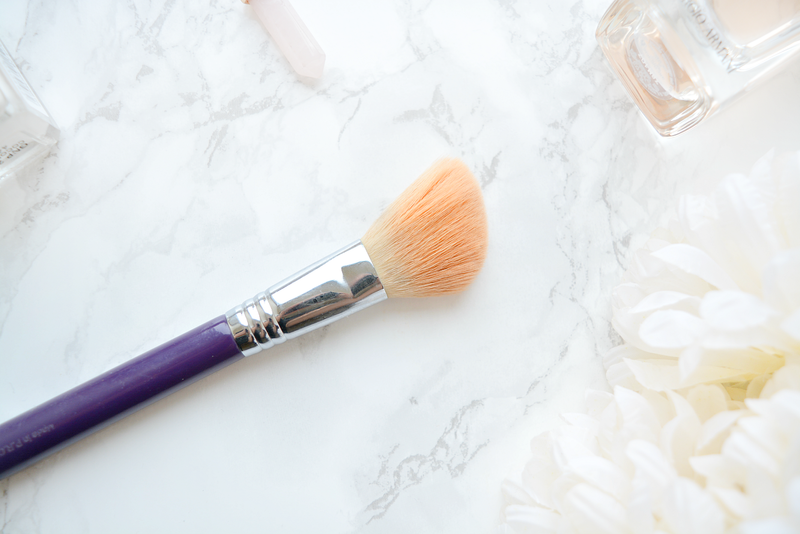 Now that I am using my brushes nearly everyday, it's harder to stick to my routine. So, I headed to Boots to search for a good spot cleaner to keep me going between washes and decided to give the No 7 Brush Cleanser a whirl. It comes in a simple, clear bottle with a pump which I love. A lot of other brush cleansers don't come with a pump and I always end up spilling them! What's more the pump itself is lockable keeping spillages to an absolute minimum. This is a hypo-allergenic liquid cleanser - I find that liquid cleansers are more effective at cleaning brushes than sprays - but even though this applies wet, it dries super fast and brushes can be used immediately after. The best way to use this, is to pump some of the product onto a kitchen towel and swirl the brush around in it. 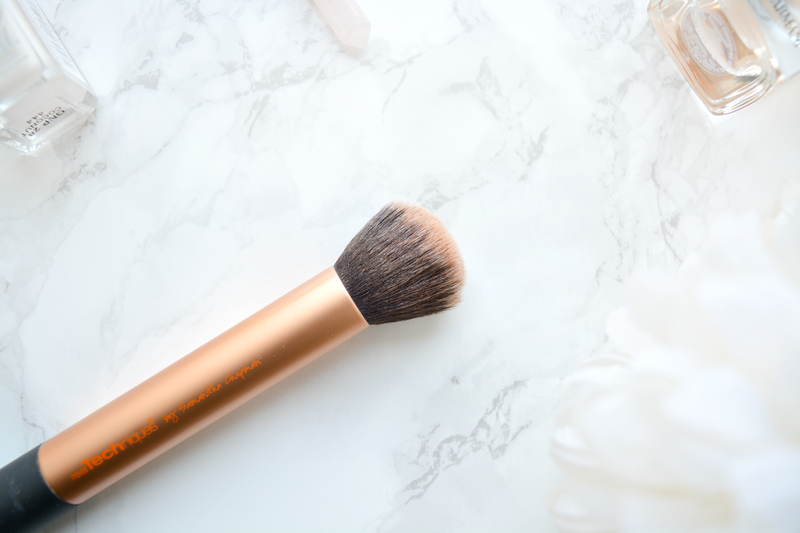 For brushes that aren't very dirty, or that I had used for light powders (i.e. the Real Techniques Setting Brush) I only needed 1-2 pumps of product. It did a pretty amazing job of getting my foundation brush (the RT buffing brush) clean - however this took around 4-6 pumps. 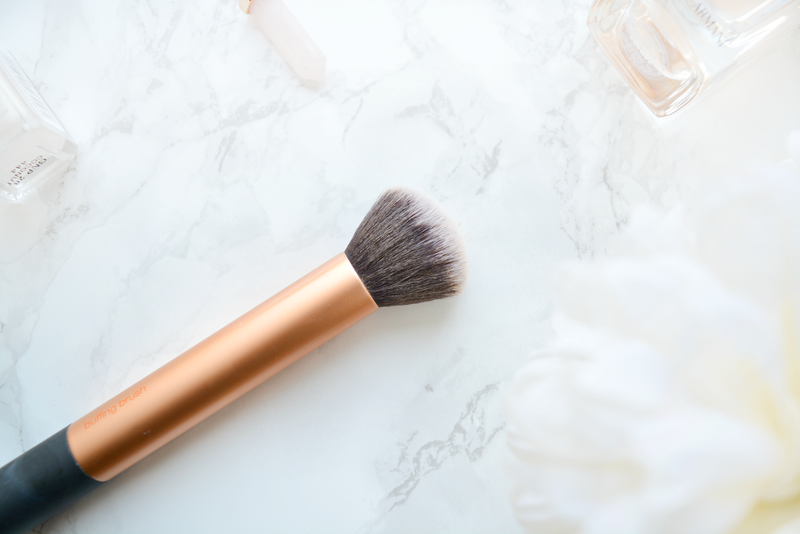 I found that it really struggled to get my dirtier brushes, such as the my contour brush, spotless even after multiple pumps but for £8.00 it really wasn't that bad. 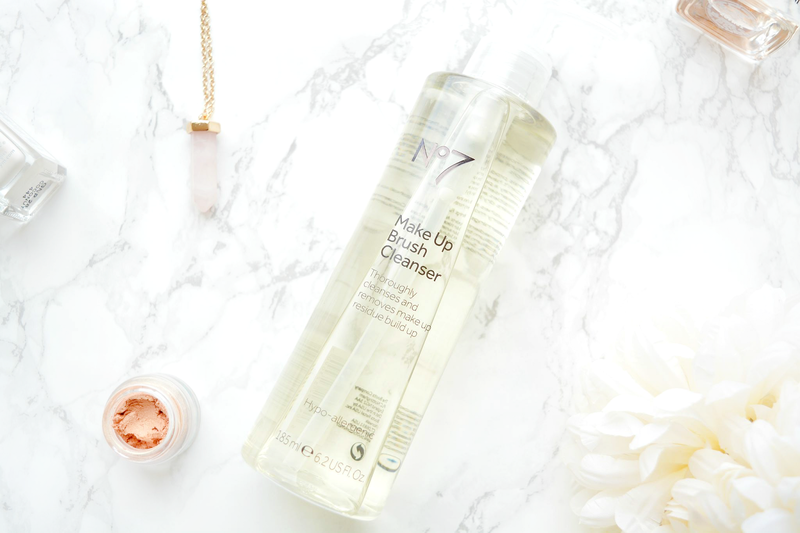 Overall, I'd say the No 7 Brush Cleanser is a cheap, quick fix for in between deep cleaning. I'd give it an 8/10 as it dries really quick but isn't a long term solution for super dirty brushes. I'll keep you updated about how long the bottle lasts me. 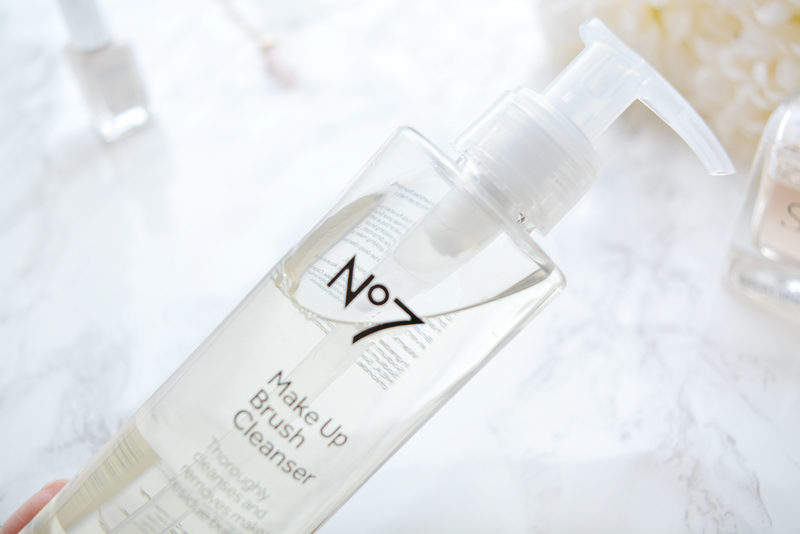 Have you tried the No 7 brush cleanser? What did you think? I generally don't spot clean, because I'm like, "WHY SPOT CLEAN WHEN YOU CAN DEEP CLEAN???" which...has kinda lead to me buying brushes instead of cleaning them, heh. 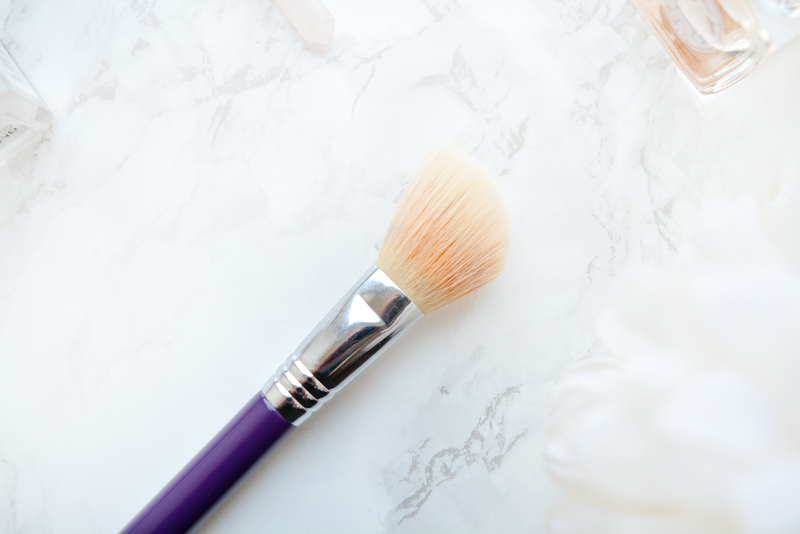 I use a bar of Dr Bronner's soap to clean my brushes, but if I get stubborn foundation stains, I'll swish the brush in olive oil first! ALSO LOVING THE NEW BLOG LAYOUT! Haha coming from the photography prodigy, I'll definitely take that as a compliment. I wish I could afford to just buy multiples of the brushes I use a lot, that would make life easier. I use the Dr Bonners liquid soap for deep cleaning, but I can't be bothered to deep clean half as much as I need to. I wear make up nearly everyday thanks to working in retail. Glad you love the new layout :) I love it so much more than the old one.